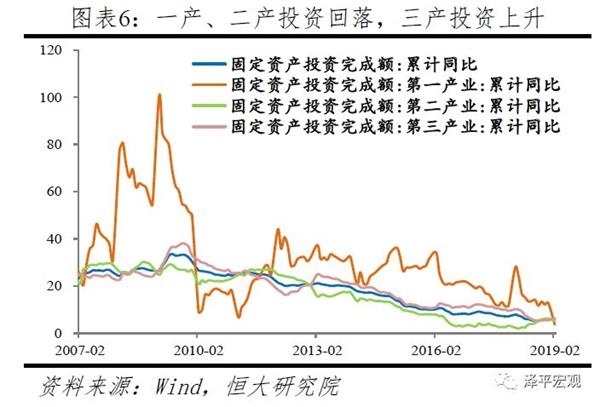 Ren Zeping: China's economy is going out to the dark moments, capital markets are not very good. Ren Zeping: The Chinese economy is going out to the dark moments. In 2015, we proposed the “economic L-type”, and in the second half of 2018, we proposed “the second bottom of the economy in 2019”. Judging from recent policies and data, the Chinese economy is coming out to a dark moment. Fiscal and monetary policies began to pick up. Substantial tax cuts were included in the government work report. The development of multi-level capital markets and the optimization of the private economy's development environment were highly valued. Some misconceptions and practices were corrected last year, and the urgency of the new round of opening up was enhanced. Although the economy is still lagging behind in inertia, the leading indicators such as social welfare, domestic demand orders and the stock market have begun to bottom out. As long as China pragmatically promotes a new round of reform and opening up in the direction of marketization, the best investment opportunities in the future are still in China. Event: China's size above 1-2 monthsIndustrial added value5.3% year-on-year, expected 5.6%, the previous value is 6.2%. January-February townFixed asset investment6.1% year-on-year, 6.1% expected, and the previous value was 5.9%. January to FebruaryThe total retail sales of social consumer goodsIt is 8.2% year-on-year, 8.2% expected, and the previous value is 9%. 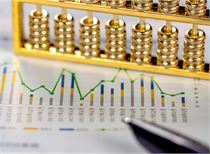 The scale of new social financing in January-February was 5.31 trillion yuan, an increase of 1.05 trillion yuan over the same period of the previous year; February M2currencyThe supply was 8.0% year-on-year, 8.4% expected, and the previous value was 8.4%. 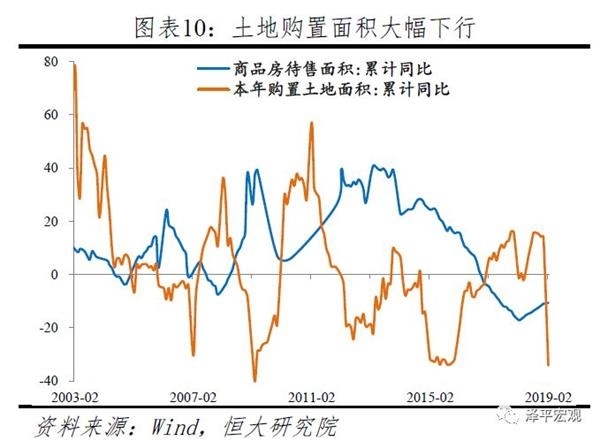 2019The main judgment of the macroeconomic situation in the year: When the economy hits the bottom of the year, the capital market is extremely strong.In the first half of the year, China's economy will also decline in inertia. 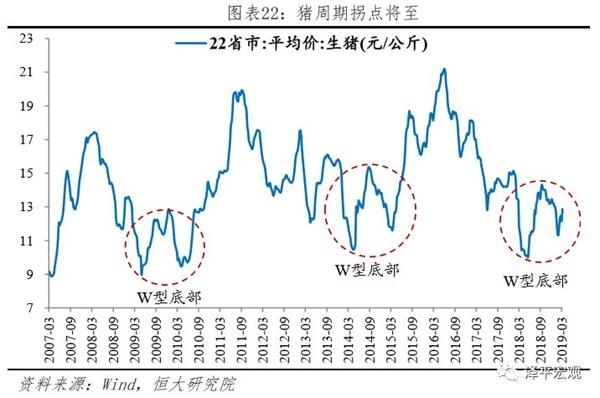 With the end of the active inventory cycle, the new production cycle and the effects of monetary and fiscal policies, the economy will bottom out in the middle of the year, stabilize in the second half of the year, stabilize before the year, and ease the risk of economic stalls. 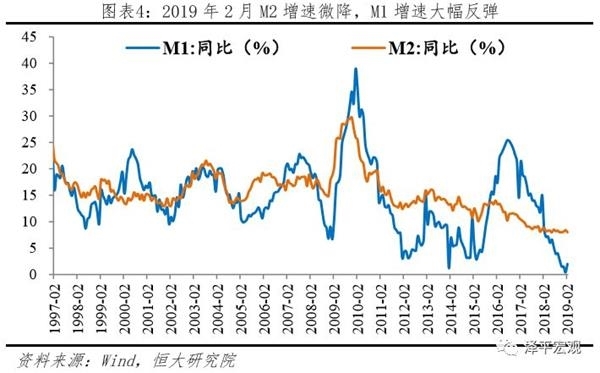 The economy has its own laws of operation, paying attention to the world economy, finance, inventory, production capacity,real estateSix cycles of politics and politics.At the beginning of the year, the growth rate of M2 and social financing bottomed out. The bottom of the policy (3Q2018), the bottom of the market (1Q2019), the bottom of the economy (in mid-2019) and the bottom of corporate profits (the second half of 2019) will appear one after another. With monetary easing and cyclical rotation, the bond market, stock market, housing market and commodities will be better. In the future, the macro policy should not only prevent the hedging from being timely and insufficient, but also prevent the excessive strength and the old path.In December 2018, the Central Economic Work Conference and the 2019 Government Work Report emphasized the strengthening of counter-cyclical adjustment. The monetary policy will remain moderately moderate, liquidity will be reasonable and sufficient, and the broad currency to wide credit channels will be eased to support private enterprises and small and micro enterprises. The fiscal policy has become more active, large-scale tax cuts have been reduced, the deficit rate has been moderately raised, and special debt has been expanded to support infrastructure. 1. Monetary and financial data is the leading indicator, and the social welfare has stabilized and rebounded.CreditThe structure will improve and monetary policy will continue to relax but will not flood.In January-February, the social welfare increased by 5.31 trillion yuan, an increase of 1.05 trillion yuan year-on-year. 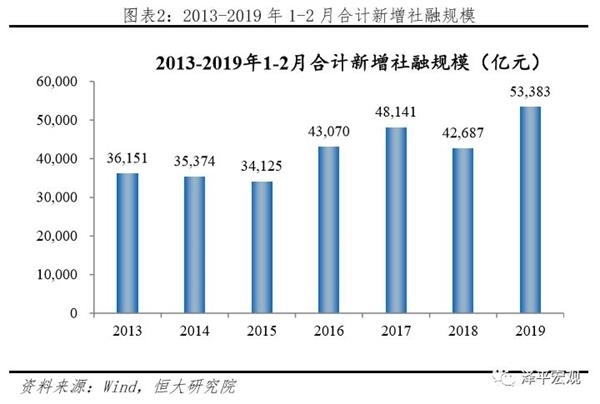 The overall rebound trend and the improvement of the real economy financing environment (in 2013-19-19, the new social integration was 3.62, 3.54, 3.41). 4.31, 4.81, 4.27, 5.31 trillion, Yang Ma loves us, but not love), the wide currency wide credit policy began to take effect. In the first two months of this year, the proportion of medium and long-term loans increased, the credit structure improved, and the vitality of enterprises increased. However, the policy continued to be exerted. Future tax cuts and infrastructure efforts will support the M2 rebound. 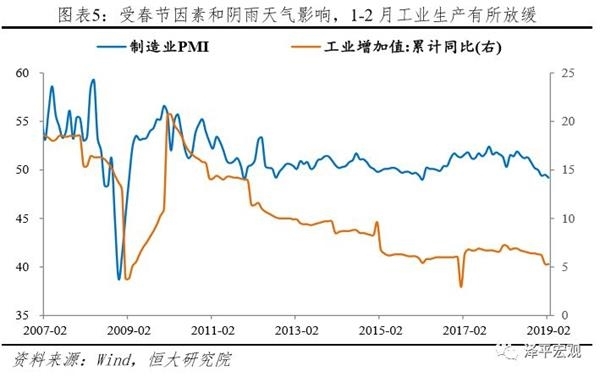 The monetary policy is moderately tight, smoothing the channels of wide currency to wide credit, supporting the financing of private enterprises and small and micro enterprises, and reducing interest rates can be expected. 2. The recovery of fixed-asset investment was mainly supported by real estate and infrastructure investment. The first-line indicator, the newly-initiated project, the total investment, the in-place funds and the social financing all predicted that the solid investment would bottom out.The fiscal policy continued to exert strength. The accelerated issuance of special bonds drove the investment in infrastructure construction to rebound. The investment in infrastructure (water-based gas) was 2.5% higher than that of the previous year, which was 0.7 percentage points higher than that of the previous year. It has risen for three consecutive months. Railway investment growth in transportation investment is as high as 22%. From the leading indicators, the total planned investment of newly started projects increased by 4.9% year-on-year in January and February, and decreased by 17.7% in the whole year of last year. The funds for new construction projects also maintained a small increase; M2 and Social Finance were ahead of fixed assets investment, so 2019 Fixed assets investment bottomed out but not much. 3. Real estate investment rebounded significantly, mainly supported by construction area, but sales, land acquisition and new construction were all down. The high growth of real estate investment was difficult to sustain. The real estate market should prevent first- and second-tier cities.House priceThe rebound and the rebound of the third and fourth line stocks, the establishment of a housing-oriented housing system and a long-term mechanism.The growth rate of real estate investment in January-February was 11.6%, which was 2.1 percentage points higher than that in 2018, mainly due to the increase in construction area. The current growth rate of new construction area is declining but still significantly higher than the completion area, indicating that the housing enterprises are still accelerating the high turnover pre-sale return. 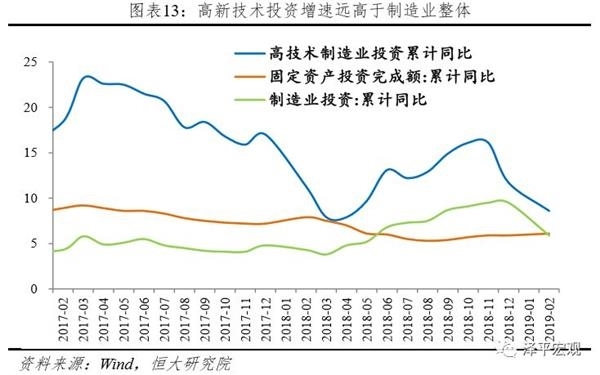 The source of funds for housing enterprises is still based on sales repayments (owner's own funds for home purchases), and loans are still negative growth year-on-year. However, the decline in domestic loans and the increase in personal mortgage loans indicate that the growth rate of personal mortgage loans has increased.bankAt the margin of relaxation, the financing of real estate. Never seen, the decline in leading indicators such as real estate sales, land acquisition and new construction area, as well as a large number of land auctions last year, indicate that the downside pressure on real estate investment is high. The "Government Work Report" proposes to "implement urban responsibility, reform and improve the housing market system and security system, promote the stable and healthy development of the real estate market" in 2019, and establish a housing-oriented housing system and a long-term mechanism. Financial stability. Real estate tax from "steadily advancing" to "steadily advancing", real estate tax is imperative, will affect the supply and demand relationship and housing prices through the impact of expectations and holding costs, real estate tax promotion needs to follow the "legislative first, full authorization, step by step "the rules. 4. Manufacturing investment has declined significantly, non-ferrous,metal productsAfter a sharp decline, the growth rate of high-tech and equipment manufacturing investment slowed but still higher than the overall.With the acceleration of demand driven by infrastructure,PPIEarnings recovery and tax cuts will improve profitability, wide currency to wide credit transfer will take effect, corporate earnings are expected to appear in the third and fourth quarters, and manufacturing investment will gradually stabilize. 5. Real estate-related consumption dragged down the growth rate of zero consumption of the society, and the subsequent benefits of lowering value-added tax and individual tax will remain stable.In January-February, the retail consumption of the society was 8.2% year-on-year, which was the same as that of December last year; the actual growth rate was 7.1%, which was 0.5 percentage points higher than that of December last year. From the perspective of consumer goods, due to the decline in real estate sales, the growth rate of real estate-related furniture, home appliances, audio-visual equipment and construction and decoration has slowed significantly; automobile consumption has narrowed for two consecutive months, supporting overall consumption; upgrading consumer categories such as communication equipment, Cosmetics and gold and silver jewellery increased year-on-year.The growth rate of future consumption is hard to be greatly affected by the downward growth of residents' income and the high leverage ratio of residents. However, with the implementation of the value-added tax, the effect of tax reduction and the implementation of “stable automobile consumption”, it is conducive to stable consumption. 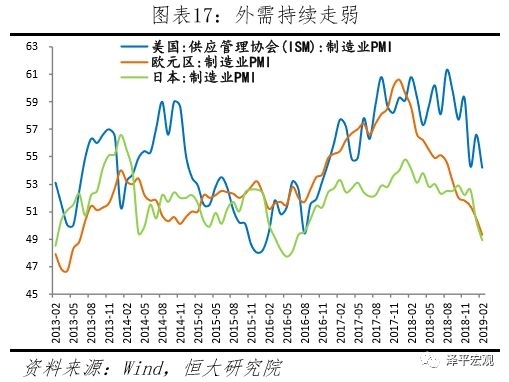 6,CPIShort-term upside, PPI will stabilize in the short term.In February, the CPI was 1.0% higher than the previous month, but it fell for the third consecutive month, but it fell year-on-year due to the high base effect. The pig cycle inflection point and the piglet drive pig price have a high probability of rising, while the value-added tax is used as an extra-tax. The tax cut will directly lead to a decline in commodity prices. In the hedge cycle, inflation will not restrict monetary policy. Therefore, from the perspective of the whole year, the upward pressure on CPI is still controllable and will not form a constraint on monetary policy. 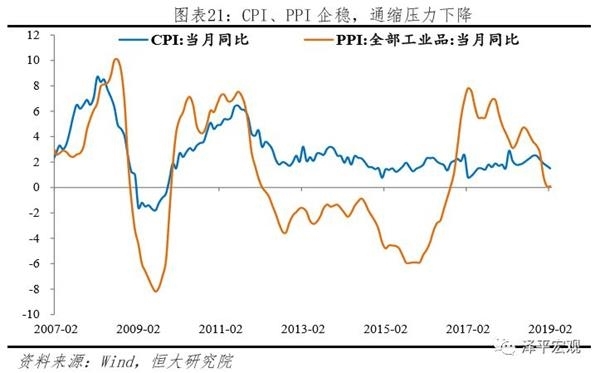 PPI stabilizes in the short term, mainlyOil priceWarmer and infrastructure support, but the deflationary pressure has not been completely relieved during the year, before the low and stable. 7,PMIThe new orders, prices and operating expectations index rebounded, indicating that the active destocking is coming to an end.When enterprises face continuous upward demand and price, they will change production and operation expectations, increase raw material procurement and production, and go to the end of inventory to make up the transition to replenish inventory. At this time, the economy bottoms out and stabilizes, which is expected to occur in the second quarter. 8. Due to the decline of the global economy and the impact of global industrial chain transfer, external demand has fallen sharply.New export order index hits a 10-year low. 1) The global economy has peaked, and external demand and global trade activities have slowed sharply.In February, the global manufacturing PMI index was 50.6%, which fell for 10 consecutive months, hitting a new low since July 2016. In February, the global BDI index was -44.1%, a sharp drop of 29.7 percentage points from January, negative for four consecutive months, and -28.5% from January to February. In February, South Korea’s exports fell by -11.1% year-on-year, a sharp decline for four consecutive months, and a cumulative year-on-year increase of -8.4% in January-February, an increase of 6.7 percentage points from last year.2) Although the Sino-US trade consultation has made substantial progress, in 2018, the US deficit with China accounted for a new high in the total deficit.3) China's February PMI new export order index fell below the critical point for nine consecutive months, hitting a 10-year low. 4) Industrial transfer under the global trade friction continues to occur, and the proportion of China's processing trade has declined. Second, the social welfare will stabilize and rebound, the credit structure will improve, and the monetary policy will continue to relax but will not flood the water. In January-February, the social welfare rebounded and the financing environment of the real economy improved. It is expected to continue to rebound in March. February social growth stock growth rate 10.1%, down 0.3 percentage points from January, but still up 0.3 percentage points from the end of last year. In January-February, the social welfare increased by 5.31 trillion yuan, an increase of 1.05 trillion yuan year-on-year. 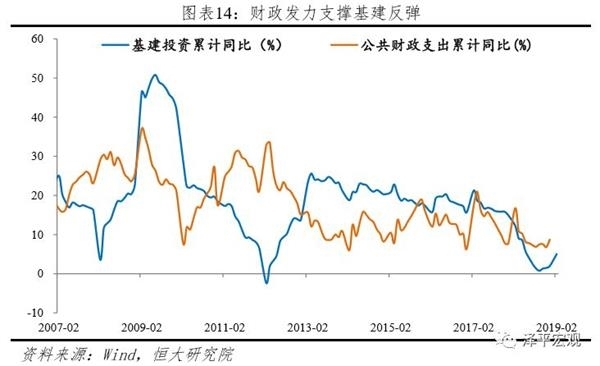 The overall rebound trend and the improvement of the real economy financing environment (new business integration in January-February 2013-38 was 3.62, 3.54, 3.41) , 4.31, 4.81 and 4.27 trillion), the broad currency wide credit policy began to take effect. Among them, the steady growth of RMB loans, corporate bond financing and local special debts has become the main driving force for the growth of social welfare. 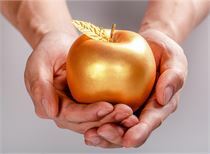 The credit structure continued to improve, and the vitality of the company has increased, but it is still waiting for the policy to continue to exert its strength..In the first two months of this year, medium and long-term loans increased by 1.92 trillion yuan, accounting for 46.5%, which was the first time since August 2018. Short-term loans and bill financing increased by 1.43 trillion yuan, accounting for 34.6%, and the loan structure continued to improve. 1M2 rebounded in the month. 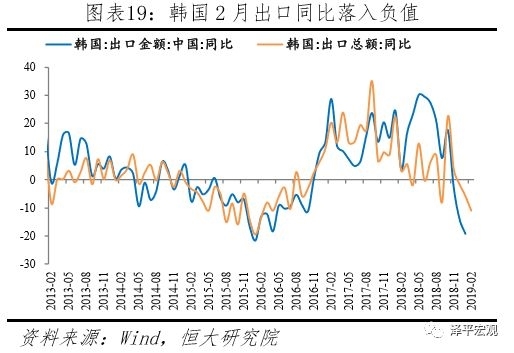 In February, due to the substantial increase in fiscal deposits and seasonal factors, the growth rate of M2 dropped slightly to 8%, but the future tax cuts and infrastructure development will support the M2 rebound.In March, M2 rebounded to 8.4%, and February M2 grew 8% year-on-year. 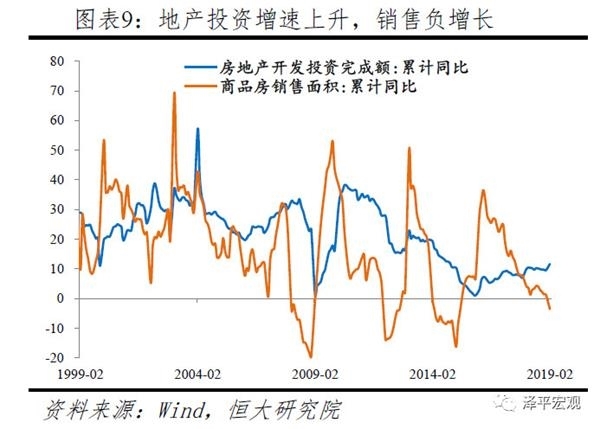 First, the central bank did not carry out the reverse for 18 consecutive days on February 2-19.RepoOperation, market liquidity is relatively insufficient; Second, February fiscal deposits increased by 324.2 billion yuan, an increase of 786.8 billion yuan year-on-year, dragging down the growth rate of M2, mainly due to the early issuance of local bonds and a large expansion; third, the central bank scrutinized The arbitrage of the bills has led to a decline in structured deposits, dragging down M2. In the future, policies such as fiscal policy exertion and tax cuts will strongly support the rebound of M2 growth. 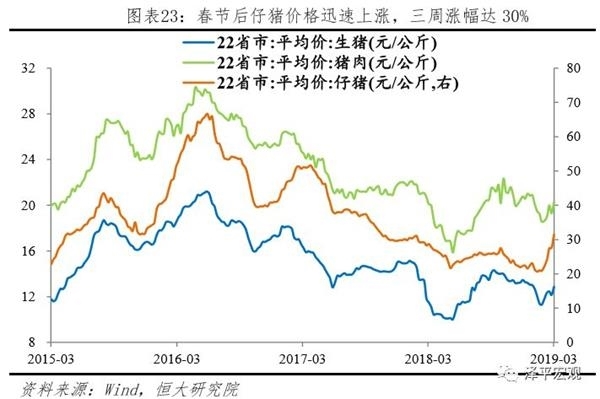 The monetary policy orientation of the central bank is to continue to relax, and the liquidity is reasonable and sufficient, but it will not flood. We continued the judgment that the social welfare bottomed out in the previous quarter, but the magnitude was not large. First, the government work report focuses on solving the problem of difficult financing for enterprises.It is necessary not to engage in "big flood irrigation" but also to use monetary policy tools flexibly.First of all, it is necessary to resolve the liquidity constraints and direct the RRR reduction for small and medium banks.The central bank provides liquidity support to resolve liquidity constraints. Therefore, in 2019, the central bank is expected to increase the targeted reduction of small and medium-sized banks, and release funds for private and small and micro enterprise loans.Second, we must resolve bank capital constraints and support banks to replenish capital through multiple channels.Recently, the central bank encouraged commercial banks to issue perpetual bonds, and the central bank created a bill swap tool (CBS) to support commercial banks to supplement Tier 1 capital in multiple channels to ensure that small and micro enterprise loans of state-owned large commercial banks increased by more than 30% in 2019.Finally, we must resolveinterest rateConduction constraintinterest rateThe market is "two tracks in one track. "The central bank has emphasized "two tracks in one track" three times in a row, and interest rate marketization reform is the key direction of future financial reform.Second, monetary policy is moderately moderate, easing broad money to wide credit channels, supporting private enterprises and small and micro enterprises to raise funds, and reducing interest rates can be expected.The Central Economic Work Conference and the government work report do not mention “neutral” and pointed out that M2 and social growth and nominalGDPThe speed increase matches. According to the fiscal deficit rate of 2.8% and the deficit of 2.76 trillion, it can be roughly estimated that the nominal GDP growth rate in 2019 is 9.5%. We believe that the growth rate of M2 and social welfare in 1019 may be more reasonable at around 10%. It is expected that both M2 and Social Finance will continue to rebound in 2019. 1-2The monthly industrial added value was 5.3% year-on-year, down 0.4 percentage points from December last year. It was mainly affected by the suspension of work during the Spring Festival and rain and snow, and the decline in exports caused by external demand.According to the statistics of the Bureau of Statistics, the impact of the Spring Festival factor was 6.1%, up 0.4 percentage points from December, but still lower than 7.2% in the same period last year.With the continuous recovery of infrastructure to drive the related demand increase and the effect of wide currency to wide credit, industrial added value may rebound year-on-year. From the perspective of the three major categories, the mining industry is the main drag on the decline in production.In January-February, the added value of mining, manufacturing and hydropower gas were 0.3%, 5.6% and 6.8%, respectively, which were -3.3, 0.1, -2.8 percentage points lower than last December. Electricity generation in January-February was 2.9% year-on-year, down 3.4 percentage points from December last year.In terms of product output, cement and glass production increased by 0.5% and 7.8%, respectively, down 3.8 and 2.4 percentage points from December last year, respectively, and verified with the new construction area and completed area. From the structure point of view, high-end manufacturing production remains high, and automobile consumption is still low, leading to negative growth in automobile production.Among them, the added value of strategic emerging industries increased by 10.1% year-on-year, and the growth rate was faster than that of all industries above designated size by 4.8 percentage points. The output of new energy vehicles increased by 53.3% year-on-year, an increase of 37.8 percentage points from December of last year;Solar energyBattery production increased by 13.5%, an increase of 0.4 percentage points.The added value of automobile manufacturing was -5.3% year-on-year in January-February, down 1.2 percentage points from December last year.Corresponding to the slowdown in the mining industry, black and non-ferrous smelting production have declined. Black and non-ferrous smelting in January and February were 7.5% and 9.3%, respectively, down 1.7 and 3.9 percentage points from December last year. 4. Solid investment was boosted by infrastructure and real estate, and it bottomed out in 2019, but not much. 1-2Monthly fixed asset investment increased year-on-year6.1%It is 0.2 percentage points higher than the whole year of 2018, mainly supported by infrastructure and real estate investment.among them,Infrastructure (non-hydroelectric gas) investment was 4.3% year-on-year, up 0.5 percentage points from the previous year;Infrastructure (water-based gas) investment was 2.5% year-on-year, up 0.7 percentage points from the previous year. It has risen for three consecutive months; manufacturing investment has fallen at a high level, 5.9% in January-February, down 3.6 percentage points from last year;Real estate investment continued to rise, with 11.6% year-on-year in January and February, up 2.1 percentage points from December last year. Judging from the leading indicators, the total planned investment of newly started projects increased by 4.9% year-on-year in January and February, and decreased by 17.7% in the whole year of last year. The funds for new construction projects also maintained a small increase. M2, social welfare and fixed assets investment are more relevant, and M2 and social welfare growth rate are rising at a low level. However, due to the lack of flooding, fixed asset investment bottomed out in 2019 but the magnitude is not large. Real estate sales have fallen due to the real estate regulation, the reduction in the proportion of monetization in the shed, and the rapid increase in the leverage ratio of residents. Since August last year, real estate sales have cooled rapidly. The sales area of ​​real estate in January-February 2019 was -3.6%, which was 4.5 percentage points lower than that in December, down 4.9 percentage points from the previous year.In terms of regions, the sales area of ​​commercial housing in the eastern, central, western and northeastern regions was -9.7%, -0.6%, 2.2% and -4.8%, respectively, down 4.7, 7.4, 4.7 and 0.4 percentage points respectively compared with 2018. The source of funds for housing enterprises is still based on sales repayments (owners' own funds for home purchases). The loans are still negative growth year-on-year. However, the decline in domestic loans has narrowed, and the increase in mortgage loans indicates that the banks are relaxing marginal financing of real estate.In January-February, the capital of the housing enterprises was 2.1% year-on-year, down 4.3 percentage points from last year. Among them, domestic loans were -0.5% year-on-year, and the decline was narrowed by 4.4 percentage points; personal mortgage loans were 6.5% year-on-year, up 7.3 percentage points from last year; self-raised funds were -1.5% year-on-year, down 11.2 percentage points from last year; deposits and advance receipts were 5.6%, down 8.2 percentage points. The growth rate of new construction area has declined but it is still significantly higher than the completed area, indicating that the housing enterprises are still accelerating the pre-sale return.The new construction area in January-February was 6.0% year-on-year, down 11.2 percentage points; the housing completion area was -11.9% year-on-year, and the decline was 4.1 percentage points. The construction area has supported the upward growth of real estate investment, but the downside of leading indicators such as real estate sales, land acquisition and new construction area, as well as the large number of land auctions last year, indicate that the downside pressure on real estate investment is high.In 2018, the real estate financing situation was tense, and the real estate enterprises implemented high turnover, and the new construction area increased by 17.2%, the highest value since 2011. The new construction in the early stage is reflected in the increase in the construction area of ​​the current period. In January-February, the construction area of ​​houses increased by 6.8% year-on-year, and the growth rate increased by 1.6 percentage points over the whole year of 2018, supporting the rise in real estate investment. In January-February, real estate investment was 11.6% year-on-year, up 2.1 percentage points from last year and 3.4 percentage points higher than the month of December.Subsequent real estate investment has a downward pressure, but it has fallen back due to the full destocking and real estate regulation. First, sales, land acquisition area, and new construction are all down.The land purchase area decreased by 34.1% year-on-year, which was 48.3 percentage points lower than that of the whole year of 2018, a record low of nearly 10 years (-40.1% in March 2009).Second, the amount of land flow in the previous period has increased significantly.The decline in the growth rate of land acquisition fees will drag down property investment.In 2018, there were 1654 land auctions, 55% year-on-year, and the ratio of auctions was 4.7%, which was a five-year high. Among them, 15 were in the first-tier cities, 200% year-on-year, and 375 in the second-tier cities, up 172% year-on-year; The land flow of the fourth-tier cities was 1,264, a year-on-year increase of 36%.Third, real estate regulation has reached the strictest in history, no longer overweight;The real estate destocking task was basically completed, and the inventory was equivalent to the level at the beginning of 2014. The replenishment of stocks led to a fall in real estate investment.In 2015, 2016 and 2017, the sales of commercial housing were 14.4%, 34.8% and 13.7%, respectively, and the sales area was 6.5%, 22.5% and 7.7%, respectively, while the growth rate of real estate development investment was 1.0%, 6.9% and 7%. Sales are much larger than investment, and inventory is fully depleted. The area for sale of commercial housing in January-February 2019 is equivalent to the level at the beginning of 2014, which is rapidly decreasing from 24.4% at the beginning of 2015 to -3.2%, -15.3% for 2016, 2017, 2018 and January-February 2019. 11% and -10.6%. 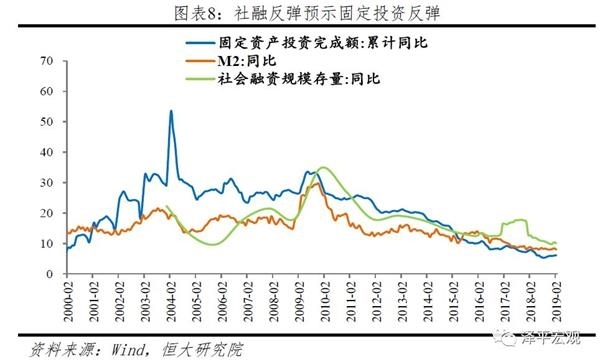 2019The real estate market should focus on preventing the rebound of housing prices in the first and second tier cities and the rebound of the third and fourth tier stocks.Establish a housing-oriented housing system andLong-term mechanism. First, this year's prudent monetary policy needs to be reasonably liquid.Current stocks have fallen to historical lows, and there is still pressure on house prices in first- and second-tier cities with continuous population and industry inflows.Therefore, "stable prices, stable prices, stable expectations, and anti-risk" must still be placed in a prominent position.Second, some third- and fourth-tier cities face economic andRevenueThe downside situation may stimulate real estate to lead to high inventory.The "Government Work Report" proposes to "implement the responsibility of urban subjects, reform and improve the housing market system and guarantee system, and promote the stable and healthy development of the real estate market" in 2019, and continue the spirit of the Central Economic Work Conference in 2018. Consolidate the main responsibility of the city government." The local government has a greater autonomy of “sending by the city” and will balance the pressure of “stable growth, fiscal protection and housing price increase” and moderately correct the previous regulation.Third, the long-term mechanism involving land, monetary finance, leasing, security, and real estate tax will help the market to develop steadily and healthily. The key to establishing a housing-oriented housing system and a long-term mechanism is human-land linkage and financial stability.To establish a urban planning regional planning strategy for metropolitan urban agglomerations led by big cities, it is necessary to promote the free and full flow of population, land, technology and other elements, and mobilize the enthusiasm of each region. At the same time, it can increase the supply of shared property houses and rental housing in the first-tier cities, and the innovative land transfer mode gradually replaces the traditional bidding and auction mode of “high price.”The real estate tax has steadily advanced, affecting housing prices by affecting expectations.The real estate tax has been “steadily advanced” from 2018 to “steady advancement” in 2019. On March 8th, Li Zhanshu stated that it should concentrate on implementing major legislative issues determined by the Party Central Committee, including real estate tax laws, and speeding up legislation.ResearchTo draft, we must step up our work and ensure that it is completed on schedule. On March 12, the National People's Congress Financial and Economic Committee reviewed the draft budget and said: As soon as possible, the real estate tax law should be submitted to the Standing Committee of the National People's Congress for deliberation, and submitted to the review on time to ensure the completion of the task of taxation by the Party Central Committee in 2020. In order to improve the local tax system and adapt the local government's fiscal revenue to the new situation of the future stock market, real estate tax reform is imperative. The legislation and implementation of real estate tax will change the supply and demand relationship in the real estate market by affecting expectations and holding costs. The promotion of real estate tax needs to follow the principle of “legislation first, full authorization, and step by step”. 6. Manufacturing investment slows down, and high-end manufacturing investment is relatively fast. In the future, domestic demand will pick up, prices will stabilize and rebound, and wide credit support will be supported. 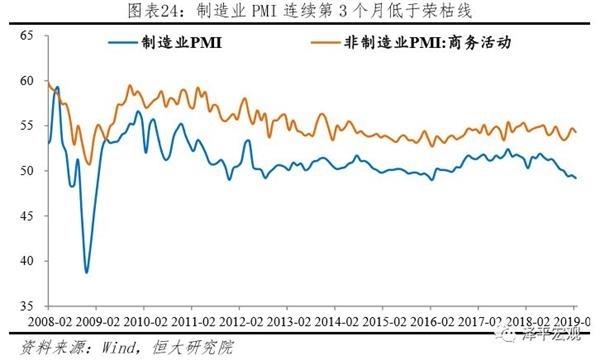 1-2Manufacturing investment fell sharply in the month, and nonferrous metals and metal products fell sharply. The growth rate of high-tech and equipment manufacturing investment slowed but still higher than the overall. Manufacturing investment in January-February was 5.9% year-on-year, down 3.6 percentage points from the previous year, mainly due to the continued decline in PPI and earnings, weak demand and wide currency-to-wide credit transmission. In terms of industries, in January-February, the manufacturing of non-ferrous metals and metal products was 3.2% and 6.4%, respectively, a sharp drop of 13.8 and 9 percentage points. The growth rate of computer telecommunications and electrical machinery slowed down significantly, respectively -2.6% and -2.2. %, the growth rate slowed by 19.3 and 15.6 percentage points compared with 2018. Investment in high-tech industry investment and industrial technology transformation increased by 8.6% and 19.5% respectively, and the growth rate was faster than the total investment of 2.5 and 13.4 percentage points respectively. Deviated from the downstream industries such as textiles and automobiles, the investment was 17.8% and 8.1% respectively, which was 12.7 and 4.6 percentage points higher than the annual growth rate in 2018. It may continue to promote “stable automobile consumption” and improve business management. Expected to be relevant. With the recovery of demand, the recovery of PPI and the improvement of profits driven by tax cuts and reductions, and the wide currency to wide credit transmission, the bottom of corporate profits is expected to appear in the third and fourth quarters, and manufacturing investment will gradually stabilize.In February, the manufacturing PMI new orders, prices and business expectation index rebounded. The PPI rose for the second consecutive month. The tax cuts and fee reductions will improve corporate profits and stabilize manufacturing investment. 7. Infrastructure investment continued to rebound, dragging down the economy under the support of moderately increasing the deficit rate and expanding special debts. Active fiscal policy has been exerted, and infrastructure investment has rebounded for four consecutive months.The growth rate of infrastructure investment (non-hydroelectric gas) in January-February was 4.3%, which was 0.5 percentage points higher than that in 2018. The large-caliber infrastructure after considering hydropower gas has accumulated 2.5% year-on-year, an increase of 0.7 percentage points over the previous year. The rebound of infrastructure construction has a greater relationship with the NDRC's expedited approval projects and special debts issued and issued in advance. 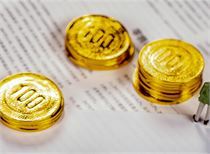 The net issuance of local government bonds in January and February 2019 was 4,180 and 338 billion yuan, compared with 0 and 28.6 billion yuan in the same period last year. From the perspective of sub-sectors, transportation rebounded significantly, with the growth rate of railway investment being higher.In January-February, investment in water management industry decreased by 1.8%, and the decline narrowed by 3.1 percentage points; investment in public facilities management industry decreased by 2.9%; in 2018, it increased by 2.5%; transportation investment was 7.5%, which was higher than that in 2018. 3.6 percentage points. Among them, railway and road transportation investment was 22.5% and 13.0%, respectively, up by 27.6 and 4.8 percentage points respectively. This year's two sessions proposed that the transportation investment target for 2019 is 2.6 trillion yuan, and the rail transit investment is about 650 billion yuan. Transportation investment is expected to maintain high growth. The infrastructure will continue to pick up under the active fiscal policy.But still subject to local government debt.The 2019 government work report stated: 1) The deficit rate has rebounded to 2.8% this year, up 0.2 percentage points from last year; the deficit is 2.76 trillion yuan, an increase of 380 billion yuan over last year, and the counter-cyclical adjustment is strengthened; 2) the scale of special bond issuance is greatly expanded. , reasonably expand the scope of use of special bonds; 3) reduce the capital ratio requirements of some infrastructure investments. With the financial strength, monetary easing, and gradually reducing the capital ratio of infrastructure projects, the infrastructure growth rate will rebound significantly. 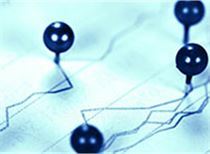 In addition, it is worthy of attention that the centralNew infrastructure construction such as artificial intelligence, industrial internet, and internet of thingsIncrease investment in inter-city transportation, logistics, and municipal infrastructure to fill shortcomings in rural infrastructure and public service facilities. Real estate-related consumption dragged down overall consumer sluggishness, and the decline in auto consumption narrowed. In January-February, the retail consumption of the society was 8.2% year-on-year, which was the same as that of December last year; the actual growth rate was 7.1%, which was 0.5 percentage points higher than that of December last year.From the perspective of consumer goods, 1) affected by the decline in real estate sales, the growth rate of real estate-related furniture, home appliances, audio-visual equipment, and building decoration slowed down significantly. The year-on-year growth rates in January-February were 0.7%, 3.3%, and 6.6%, respectively. It fell by 12, 10.6 and 2 percentage points in December last year. Among them, furniture consumption hit a new low since April 2003, and building decoration declined for three consecutive months. 2) Car consumption has narrowed for two consecutive months, supporting overall consumption. Car consumption in January-February was -2.8%, up 5.7 percentage points from December last year. 3) The growth rate of upgraded consumer categories increased. 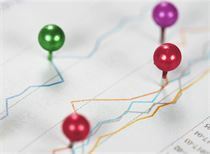 In January-February, communications equipment, cosmetics and gold and silver jewellery categories were 8.2%, 8.9%, and 4.4%, respectively, up 9.1, 7 and 2.1 percentage points from December last year. The growth rate of future consumption is hard to be greatly affected by the downward growth of residents' income and the high leverage ratio of residents. However, with the implementation of the value-added tax, the effect of tax reduction and the implementation of “stable automobile consumption”, it is conducive to stable consumption.1) The decline in nominal GDP has dragged down the growth rate of household income. 2) The leverage ratio of the resident sector rises and squeezes consumption. 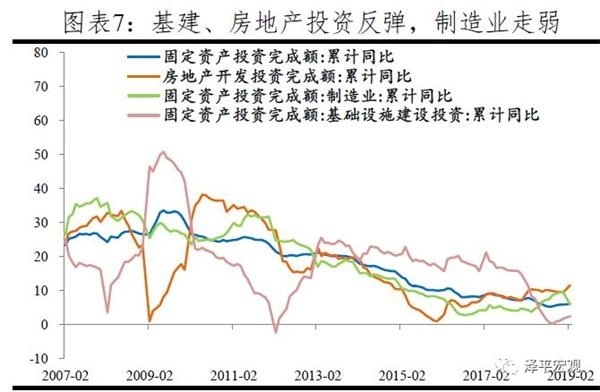 In recent years, the leverage ratio of China's residential sector has risen rapidly, reaching 50.3% in the second quarter of 2018. According to estimates by the People's Bank of China, the loan-to-income ratio increased from 22.6% at the end of 2008 to 60.5% at the end of 2017. The debt-to-income ratio of the household sector increased from 43.2% at the end of 2008 to 112.2% at the end of 2017. 3) Tax deductions increase the disposable income, and VAT deductions help to reduce the price of consumer goods and increase the actual purchasing power. 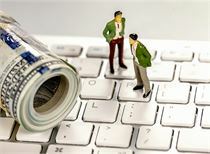 In the fourth quarter of 2018, the tax has been taxed by 200 billion yuan. 4) The National Development and Reform Commission proposed to stabilize consumption of automobiles and home appliances, and to reduce the drag on consumption. To improve household consumption, we need to increase the proportion of high-end high-quality supply, increase the proportion of residents in national income distribution, reduce taxes, increase transfer payments, increase fiscal investment in health care for the elderly, and narrow the gap between the rich and the poor. Taking into account the factors such as the Spring Festival disturbance, the overall export value in January-February was -4.6%, which was the same as that in December of last year, mainly due to the contraction of external demand.Exports in February were -20.7% year-on-year, down 30 percentage points from the previous month. The main reason was that due to the influence of the Spring Festival, some February exports were completed ahead of January. Historically, the years that were similar to the Spring Festival this year were 2000, 2003, 2005, 2011, and 2016. Exports in February of these years were significantly lower than those in January. Among them, exports in February 2016 were -27.96%.In terms of countries and regions, China's exports to most countries and regions in the world have declined.Exports to the US, Europe and Japan in January-February were -14.6%, 1.5% and -1.3%, respectively, which were -1.11, 1.8, -0.3 percentage points higher than last December. In addition, exports to South Korea, ASEAN, India, Brazil, Russia, and Canada have all declined to varying degrees. 1-2Monthly imports totaled -4.6% year-on-year, up 1.3 percentage points from December-5.9% in December, and China promised to import USAgricultural productsrelated.According to imported products, the import of agricultural products in January-February was 10.9% year-on-year, which was 18.5 percentage points higher than that in December last year. Among them, the import volume of soybeans rose by 9%, compared with -9.5% in January-February. It rose by 26.7 percentage points, which is related to China's commitment to increase imports of agricultural products such as soybeans. The total amount of imports from the United States in January-February was -35.1%, a slight increase of 0.7 percentage points from December last year. 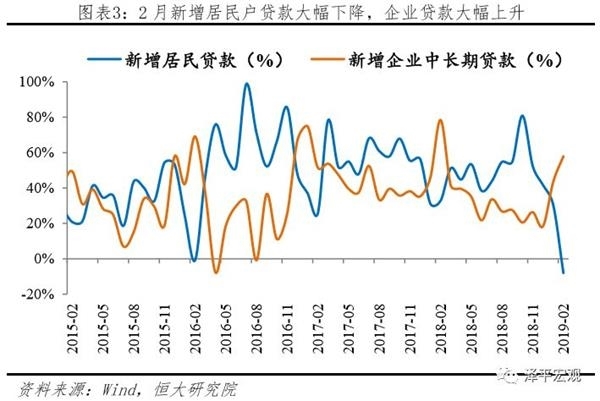 Mechanical and electrical products and high-tech products rebounded at a low level of -7.4% and -6.6%, respectively, up 8.8 and 7.3 percentage points from December last year. Iron ore, imported crude oil,Refined oilThe import value of bulk commodities in January and February was 0.5% year-on-year, down 25.7 percentage points from December last year. 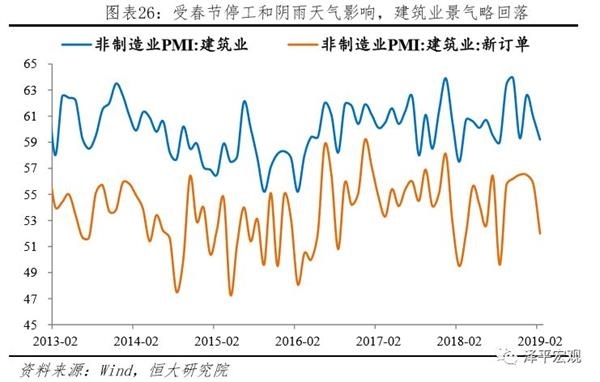 Affected by the global economic slowdown and the gradual transfer of the global industrial chain, the PMI export new orders index hit a new low in nearly a decade, and future exports are still under pressure. 1) External demand continues to weaken.In February, the global manufacturing PMI index was 50.6%, which fell for 10 consecutive months, hitting a new low since July 2016. The US manufacturing PMI showed a downward trend in general. It was 54.2% in February, falling for three consecutive months. The manufacturing and PMI of Europe and Japan were below the dry line, accounting for 49.3% and 48.9% respectively, in July 2013 and 2016. New low since the month. 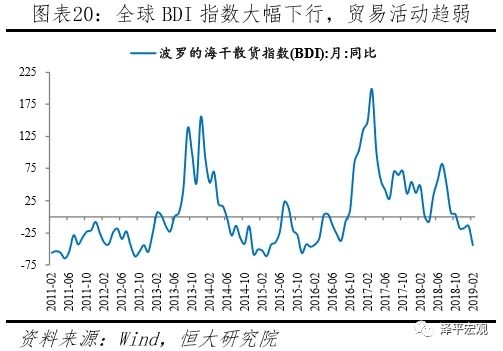 In February, the BDI index was -44.1%, a sharp drop of 29.7 percentage points from January, negative for four consecutive months, and -28.5% from January to February, an increase of 11 percentage points from the decline in December last year. In February, South Korea’s exports fell by -11.1% year-on-year, a sharp decline for four consecutive months, and a cumulative year-on-year increase of -8.4% in January-February, an increase of 6.7 percentage points from last year.2) Although the Sino-US trade consultation has made substantial progress, in 2018, the US deficit with China accounted for a new high in the total deficit.3) China's February PMI new export orders index was 45.2%, which was below the critical point for 9 consecutive months. 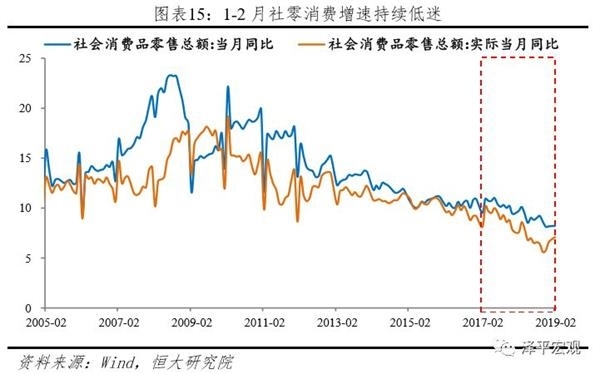 4) Industrial transfer under the global trade friction continues to occur, and the proportion of China's processing trade continues to decline.Processing Tradeimport and exportIt was negative for three consecutive months, and processing trade accounted for a continuous decline in the proportion of China's imports and exports. To a certain extent, it reflected China's industrial restructuring and global industrial transfer. X. CPI will rise in the short term and PPI deflationary pressure will be suspended. 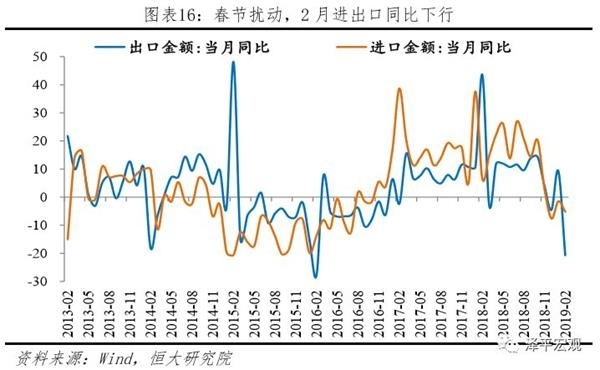 2The monthly CPI was 1.0% higher than the previous three months, but due to the high base effect, it was 1.5% year-on-year, down 0.2 percentage points from January.During the Spring Festival, the prices of food and non-food products rose to the normal level. 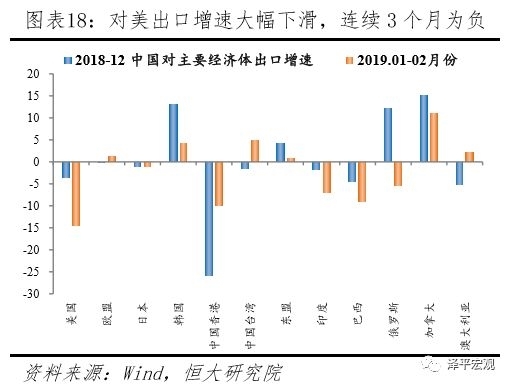 The Spring Festival in 2015, 2016 and 2018 were all in February, and the average month-on-month ratio was 1.3% in February, which was 2.9% in 2018, the highest since November 2013. February CPI fell year-on-year. The CPI rebounded for three consecutive months. In terms of sub-items, food items rose by 3.2% from the previous month. The main reason was the increase in temperature due to the combination of rain and snow, and the increase in demand for the Spring Festival. The pig cycle inflection point and the piglet drive pig price have a high probability, while the VAT tax cuts hedge the pig cycle, inflation will not restrict monetary policy.. At present, the stock of live pigs is at a historical low level and at the bottom and starting point of the new round of pig cycles, while the African swine fever epidemic further attacks the potential supply of pork, and the probability of pork prices will rise significantly in the later period. In the two rounds of pigs in 2010 and 2015, pork prices have reached a maximum of 30 yuan / kg, the current pork price is 20 yuan / kg, so this year's pork price increase is expected to reach 50%, according to pork in the CPI 2.5% calculation, static, pork prices are expected to increase CPI by about 1.25 percentage points. However, this year, the VAT rate will be lowered. The VAT is the extra-tax. The tax rate will directly affect the commodity price. The 16% tax rate will be lowered to 13% and the price will be lowered by 2.58%. Considering the lower rate of other grades, the VAT rate is small. The next adjustment will reduce the commodity price by about 1.3 percentage points.Therefore, from the perspective of the whole year, the upward pressure on CPI is still controllable and will not form a constraint on monetary policy. However, in the short term, due to the time lag between the implementation and the effect of the tax reduction policy, the CPI will continue to rise in the short term. PPIShort-term stabilization, mainly due to the rebound in oil prices and the support of infrastructure, but the deflationary pressure has not been completely lifted during the year, before the low and stable.In February, the PPI fell by 0.1% from the previous month, and the decline was narrowed by 0.5 percentage points from the previous month. It narrowed for two consecutive months, reflecting a slight recovery in demand. From the perspective of various industries, the upstream industry improved better. The petroleum processing, black smelting and non-ferrous smelting were 0.9%, 0.3% and 0.1% respectively, both of which rebounded and rebounded, up 5.4, 2.3 and 0.8 percentage points respectively, mainly due to the increase. The oil price has risen and the infrastructure has been exerted. Since 2019, Brent crude oil has risen by nearly 30%, and infrastructure projects have begun to fall. 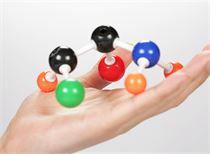 The Nanhua Industrial Products Index has risen nearly 10% this year. Considering that the follow-up monetary and fiscal policies take effect and the active destocking ends, the economy will stabilize in the middle of the year, and the PPI is expected to be low and stable. XI. 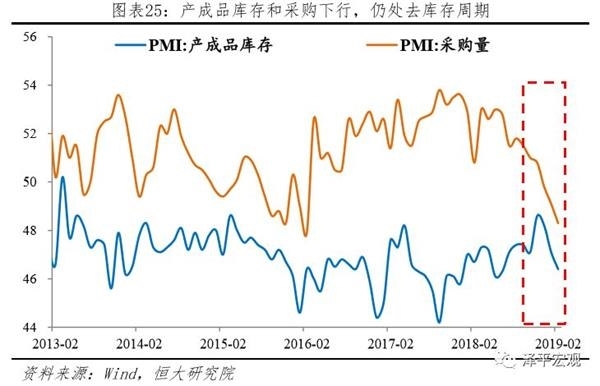 PMI's new orders, prices and business expectation index rebounded, indicating that the active destocking is coming to an end. 2The monthly manufacturing PMI was 49.2%, down 0.3 percentage points from the previous month, and was lower than the glory line for three consecutive months, the lowest since March 2016. Mainly production, imports, new export orders, employees and other indicators fell, but the new orders, prices, production and business activities expected index rebounded.At the production end, the PMI production index was 49.5%, down 1.4 percentage points from the previous month, compared with 2.8 percentage points in the same period last year, mainly due to the suspension of the Spring Festival holiday and the rainy weather.On the demand side, domestic demand is stronger than external demand, and the export situation is grim.The new order index was 50.6%, up 1 percentage point from the previous month. It was mainly due to the pre-cyclical adjustment of special bonds and monetary easing, which gradually played a role, and the infrastructure was obviously exerted. The new export order index was 45.2%, down 1.7 percentage points from the previous month, reaching a new low of nearly a decade, and the export situation is still grim. The rise in prices of crude oil and industrial products drove the price index to pick up, and the deflationary pressure was suspended.In February, PMI's main raw material purchase price index and ex-factory price index were 51.9% and 48.5%, respectively, up 5.6 and 4.0 percentage points respectively from the previous month. Brent crude oil in February rose 9.5% from the previous month and down 2.3% year-on-year; Nanhua Industrial The product index rose by 3.8% month-on-month and rose by 4.5% year-on-year. The company is in the active destocking stage, and the expected increase in demand, price and production and operation indicates that the destocking is coming to an end.In February, raw material inventory, finished goods inventory index and purchasing volume index were 46.3%, 46.4% and 48.3%, respectively, down 1.8, 0.7 and 0.8 percentage points from the previous month. The production and operation expectation index was 56.2%, a sharp increase of 3.7 percentage points from the previous month and rose to a four-month high. When enterprises face continuous upward demand and price, they will change production and operation expectations, increase raw material procurement and production, and go to the end of inventory to make up the transition to replenish inventory. At this time, the economy bottoms out and stabilizes, which is expected to occur in the second quarter. Non-manufacturing business activities and construction industry booms were slightly adjusted by festival shutdowns and weather, but overall was better than last year.The non-manufacturing business activity index was 54.3%, down 0.4 percentage points from the previous month and down 0.9 percentage points from the same period last year. The new order index was 50.7%, down 0.3 percentage points from the previous month and down 1.4 percentage points from the same period last year. among them,Affected by the suspension of the Spring Festival enterprises and the rainy weather in the south, the construction industry's prosperity has declined, but it is still at a high level.In February, the construction industry business activity index was 59.2%, down 1.7 percentage points from the previous month and down 3.0 percentage points from the same period of last year. The new order index was 52.0%, down 3.8 percentage points from the previous month and down 3.3 percentage points from the same period last year. 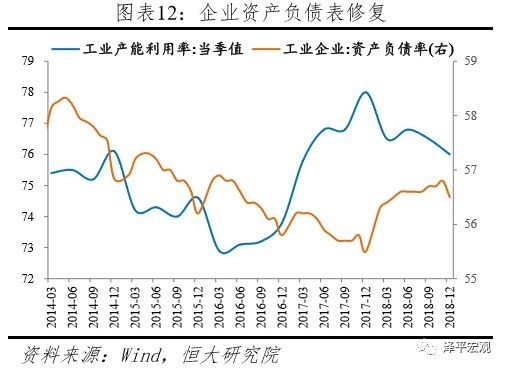 From the market expectation, the construction industry business activity expectation index is 66.7%, which is 2.2 and 1.0 percentage points higher than the previous month and the same period of last year, respectively. It continues to be in the high position, indicating that the construction industry will follow the warming of the climate and infrastructure. It is expected to continue to develop rapidly.